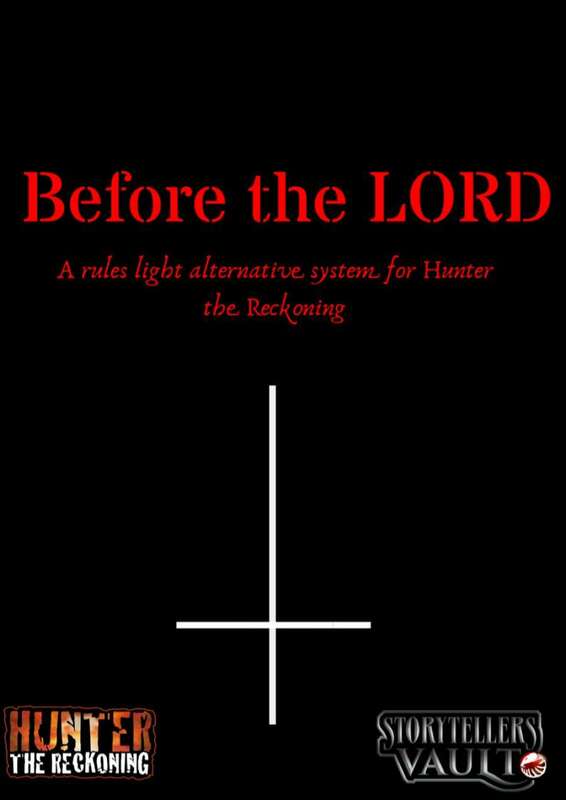 This is a super rules light rules system for playing Hunter the Reckoning. It is meant for one-shots or short chronicles of up to 5 sessions. It is meant for 2 to 5 players. You need all the ordinary Hunter the Reckoning books for setting and fluff.